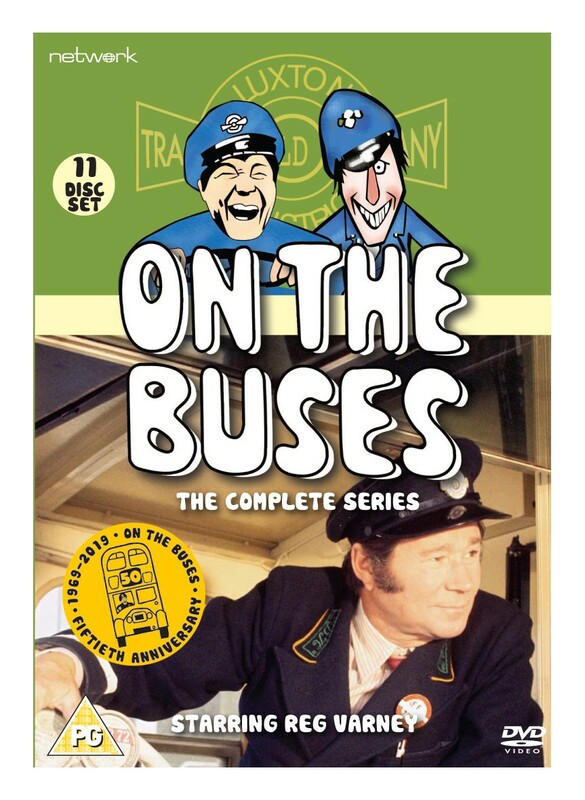 Without a doubt one of the most long-lasting and endearing of ITV sit-coms, On the Buses lasted for a tremendous seven series - from 1969 to 1973. Starring Reg Varney as jack-the-lad Stan Butler and Bob Grant as ‘clippie’ Jack Harper, their unwavering objective is to get through the day with the minimum of work and the maximum ogling of birds. Determined to thwart this cunning masterplan at every opportunity is the slow but devious Inspector Blake (“Blakey” to his enemies). Not only does Butler have to contend with Blakey but he also has to put up with living at home and ‘enjoying’ the company of his mum, sister Olive (dearie me) and her husband Arthur - a lazy skiver if ever there was one. 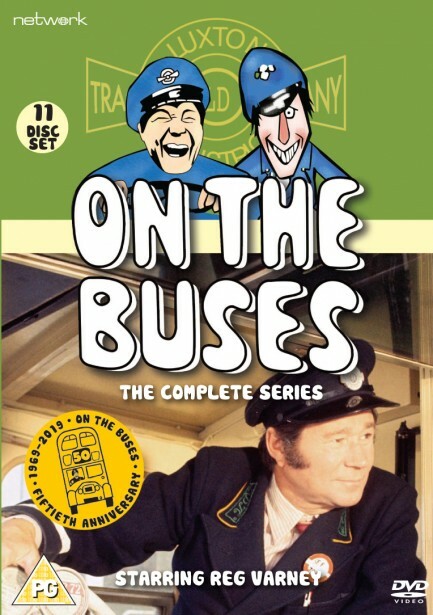 This complete series set contains all 74 shows from each of the seven series, along with some exclusive special features, including archive news footage, Reg Varney in The Best Pair of Legs in the Business and the first episode of Don’t Drink the Water – a spin-off series featuring Blakey in Spain.